The One Salon Boutique is all stocked up with brand new merchandise from Detroit Manufacturing! Hoodies! T-shirts! Jackets! Belts! Dog collars! All brand new designs. Swing by and check it out! They usually sell out fast. 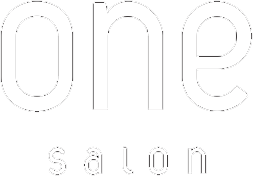 For more info contact Jen Garrison at jeng@myonesalon.com. Designer: Amy Gibson Client: Anna McDonald Inspiration: Anna has been coming to see Amy for about two years now and loves to do fun things with her hair. She had wanted the Coral color for a while…well, now she has it. Bam! Another young, fun, hip Detroiter rockin’ some cool, creative One Salon hair! Designer: Abbey Nichols Client: Alexa Ubeda Color: Elumen PK@all Inspiration: One Salon client Alexa Ubeda has always done wild things with her hair. She stopped in last week to see her designer Abbey Nichols and Abbey rocked this fun and creative look. Ella Metko recently came in to the salon wanting a new look for 2014. After consulting with her One Salon Designer, Erika Lescavage, she decided to go from her natural dark, level 4 hair color to a platinum blonde! Erika used highlight techniques and scalp bleach from Schwarzkopf for this completed work.